If you turned up to a 9am last Thursday and your lecturer didn’t do the same, you may have wondered what was going on. If you rocked up to an 11am, and the same thing happened, you probably weren’t too impressed. If, by now, you’ve started to question where they are, what’s happening, and what you’re supposed to do in the meantime, keep reading. 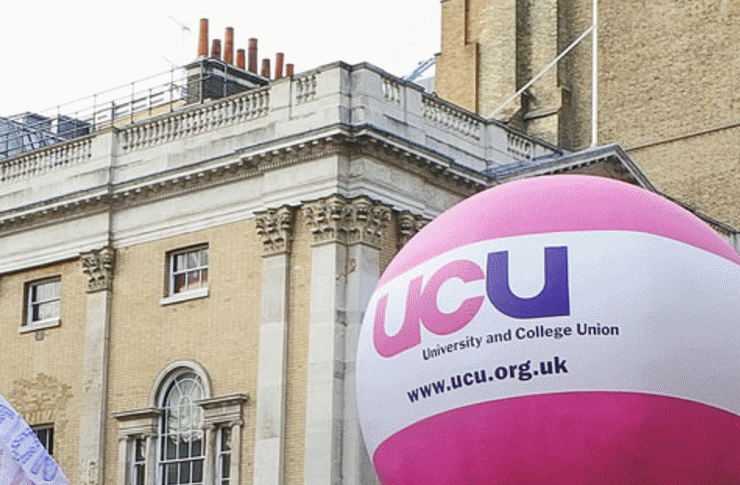 Protesting at proposed changes to the USS pension scheme, a scheme in which many academic and academic-related staff are enrolled, the University and College Union (UCU) has called a strike. 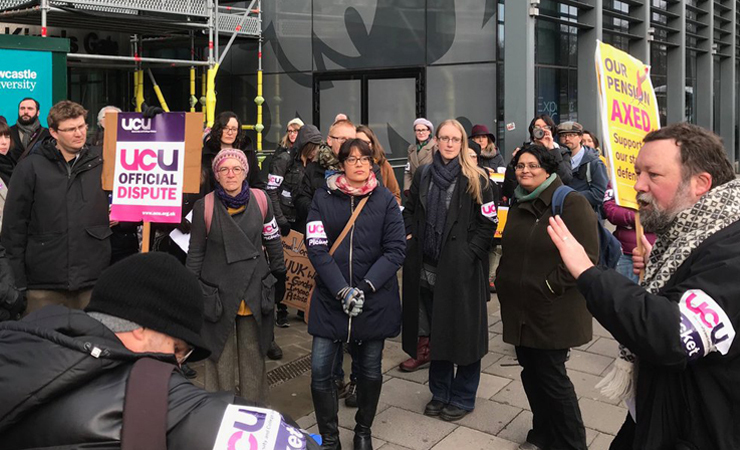 According to the UCU website, this strike means that, subject to Universities UK (UUK), committing to ‘meaningful negotiations over pensions’, members in 61 universities in the UK are taking non-violent direct action. 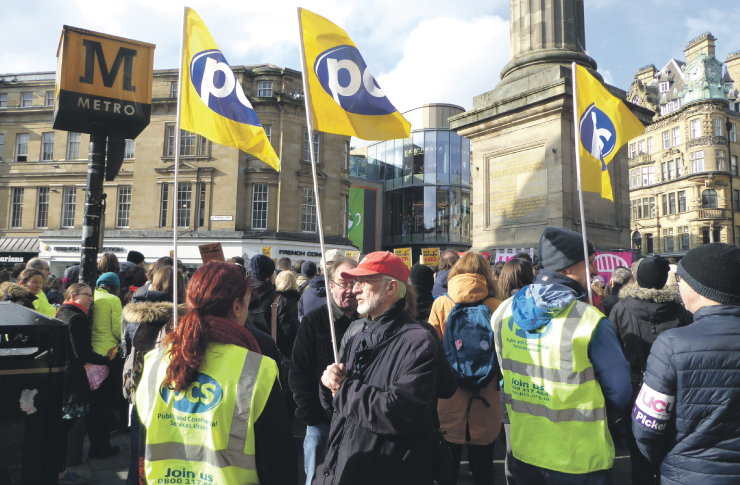 At Newcastle, it’s business as usual on the 1st, 2nd and 9th of March, but on all other days until Easter, UCU members will not be teaching, researching, marking, answering emails, or holding office hours for our university. However, rather than going home and painting the downstairs’ loo, staff have chosen to begin teaching for free with Teach-Ins. Teach-Ins are seminars for social action. 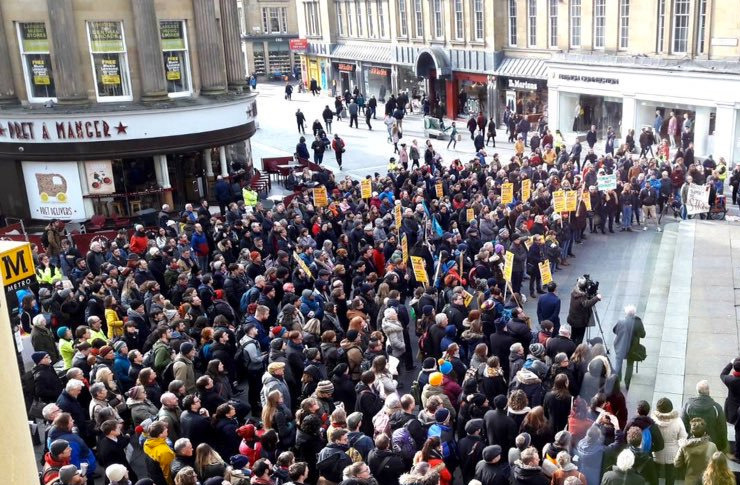 “Official” Teach-Ins in Newcastle have been coordinated by Stacy Gillis, and are being held in St Thomas’ and the Hotspur Pub daily, but student and society-led events have been encouraged and are already taking place. On Friday, Poetry In Action held a reading, in which sentiments of solidarity were voiced in verse, and a call made for one-line poems to be plastered on The Arches on notecards. Earlier, in the same space, students were asked to plan their hypothetical response in the event that the tripling of tuition fees were announced, following a talk on the “Occupy” and other similar non-violent protest movements. Participants at Teach-Ins have varied in volume and demographic dependent on their theme, but there was a notably higher undergraduate turnout on the second day of strikes. During Teach-Ins, audiences have been relaxed and respectful, despite the grievances which underlie these events. 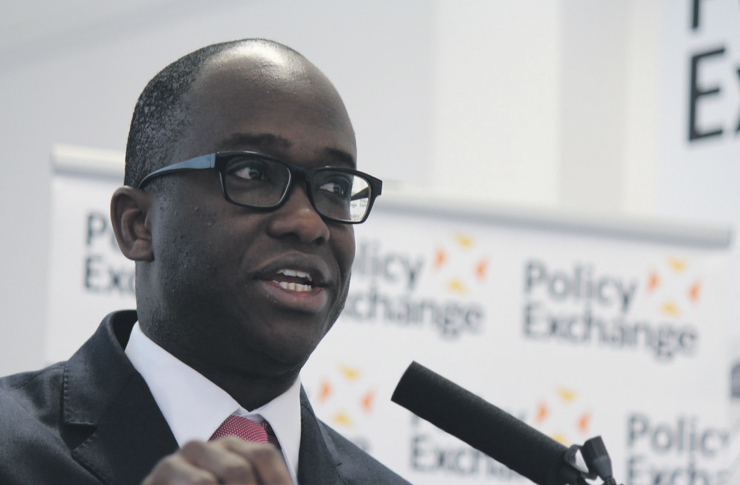 Discussions have seen criticisms of the TEF, REF and NSS, and the composition of University Council, as well as comment on the current pension dispute. Academics have expressed great dissatisfaction about a growing preoccupation with data and league tables. Audit was recognised as valuable, but a “performance management” culture of informal conversations, inferences, and whispers in corridors, was condemned as anti-intellectual, and intimidating. It hasn’t been all doom and gloom however. Networks of like-minded people are being forged, ongoing HE issues debated, and the new honesty and confidence of staff praised. Amidst uncertainty, a collaborative and constructive spirit of change is gaining momentum. 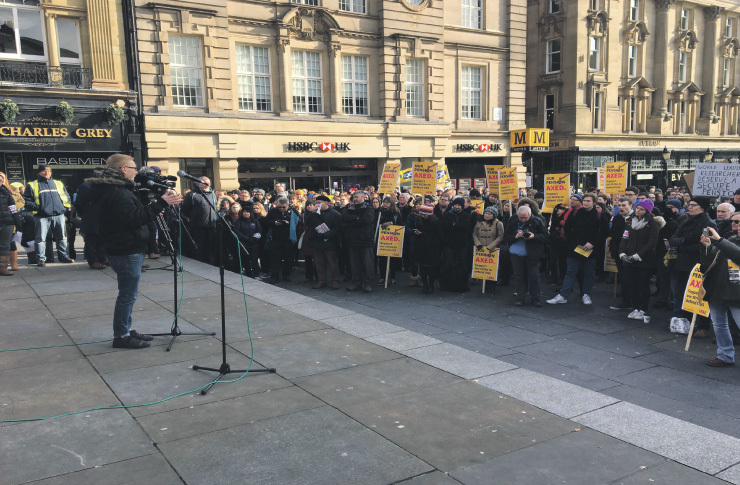 Successful strike action in 2016 over an initiative called ‘Raising the Bar’ has been lauded, but foundations for both the short and long-term future of HE at Newcastle University are also being laid. 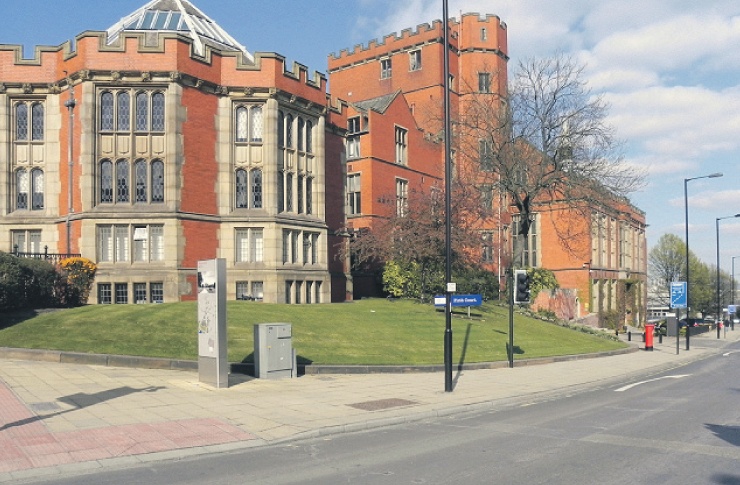 Teach-Ins, in Newcastle, are providing a mutually supportive space to challenge HE’s current values, and to air even the most visionary ideas for the community in which we study, teach, and research. In holding Teach-Ins, we join Leeds, Oxford, Southampton, Warwick, Kent, Strathclyde, Sussex, Manchester, Sheffield, Aberdeen, Edinburgh, and York, just to the name the number I can fit in my word count. In essence then, there is sincere hope that negotiations begin soon, but in the meantime, excitement to see how HE can operate outside of the usual systems, institutions, and policies which house it.